To buy our Furniture Hunting in Delhi with 40 plus names of dealers / shops / boutiques/ craftsmen in and around Delhi dealing in old, vintage, antique, look alike antiques, furniture in beautiful wood email us at visitors2delhi@rediffmail.com. This is a little guide giving details of the retailers, sellers, manufacturers, self help groups, NGOs who stock organic and natural products in Delhi. 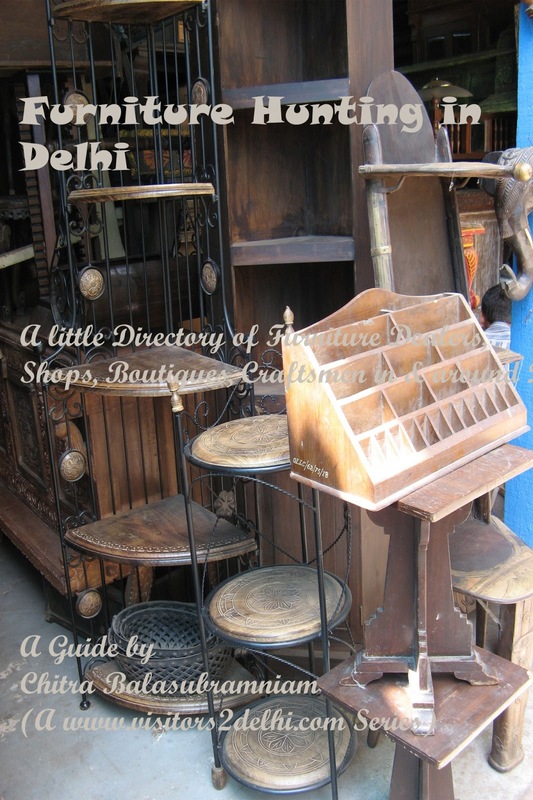 The directory has 50 listing of such entities. Many of them are lesser known but do excellent work and not in the mainstream count of stores. There are organic or natural milk producers, there are producers of natural squashes, jams and juices, there are others who stock organic vegetables. There is a manufacturer who makes disposable biodegradable sustainable plates. There is little information on each and the products that they stock. 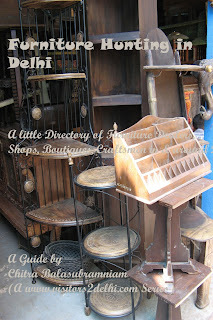 For the book you can email us at visitors2delhi@rediffmail.com. or it is available as an e-book on Smashwords. This Book has details of 20 well known embroideries from India. Though it contains a lot of information, I call it an introduction because there is so much to each type of embroidery, that this is a small brief. The embroidery documented are: the six needle embroidery from Kashmir - sozni, kani, watchikan, papier mache, rezkar, kani and tilla dori, the famous Aari and Crewel embroidery, the elegant Chikan from Lucknow, the vibrant nomad embroideries from the desserts of Rajasthan and Gujarat, Sujani the humble embroidery from Bihar, the more commercial Kantha, the picturesque Chamba Rumals, the ancient Kasuti embroidery, the lesser known but with cultural nuances Hurmucho or Sindhi embroidery, the awe inspiring Parsi Gara embroidery, the vibrant Phulkari and of course the extravagant Zardozi and its variations of kamdani and makkaish. The book is a labour of love and a treasure for those interested in hand embroidery traditions from India. Details of each embroidery if required can be got. The book also contains information on where to see examples of the embroidery in India. It also has 38 images giving details of each of the embroidery written about. 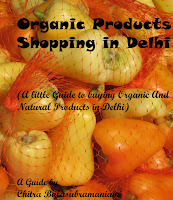 For the book you can email us at visitors2delhi@rediffmail.com.